Wool’s superior quality enables extensive design, color and pattern flexibility, while wool’s natural ability to shrug off dirt and spring back into shape after crushing ensures long lasting good looks to complement and enhance any room setting. Wool is a modern fiber used in high-value textures for discerning people looking to make a smart choice. 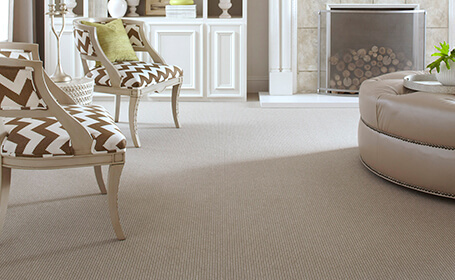 Top design houses select wool because of it’s ability to enhance and beautify the most sophisticated interiors. The complex structure of wool ensures that color is drawn right into the very heart of the fiber where it becomes locked in at a molecular level. Because the color is locked into your wool carpet, it can’t be rubbed off by walking, furniture movement and other scuffing activities and will retain its good looks longer. Because of its high protein content, wool naturally absorbs dyes which make their way into the wool and attach themselves to the many receptive sites it offers. This natural affinity for dye is the reason why wool carpets come in such a myriad of fashion shades and design combinations. 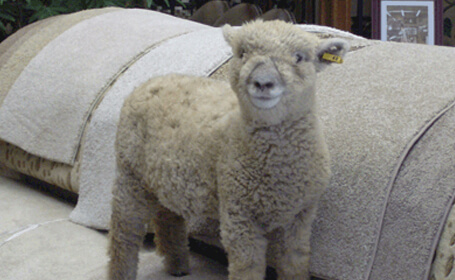 Wool is particularly good at absorbing dye because it’s unique properties that have been bred into the sheep over time. The depth of shade and clarity of color from wool cannot be achieved on any other fiber. Woven wool carpet is a true reflection of centuries of skilled craftsmanship enhanced by 21st century technology and fashion styling. 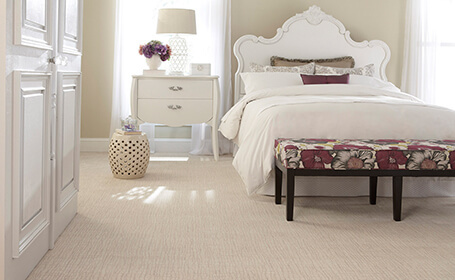 Wool can be woven or tufted into many textures and styles which allow for maximum design flexibility. Wool carpets come in a myriad of colors, textures and patterns that enhance the comfort and practicality of your floor while transforming the way you work, play and relax. 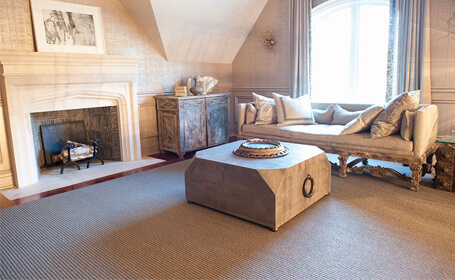 Wool carpets and rugs can be used to delineate between spaces in your home and can create zones for relaxation, for entertaining and for comfort. 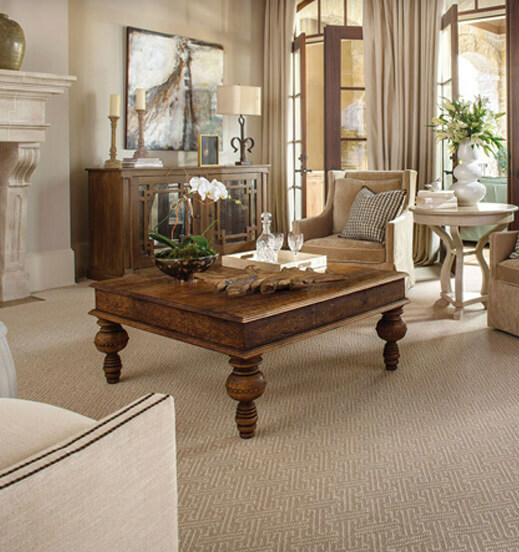 Many modern San Diego homes use hard floors in areas with indoor/outdoor flow and carpet to create contrasting zones for relaxation and comfort. Professional interior designers use wool carpets for design impact and to soften large architecturally designed spaces by making them more inviting.